Milan is one of the world’s leading capitals in terms of fashion and design. It’s a sprawling metropolis in Italy’s northern Lombardy region. Besides art and fashion, it’s also known for its high end restaurant and boutique shopping outlets. Some of its prime monuments and attractions are the Milan Cathedral; Sforza Castle, which houses antique artworks; and Brera, which is the prime shopping center in the city. This is enough to establish the city’s long-standing dedication to art and culture. As such, visitors who come to Milan should ideally find luxury five star hotels that can match the charming intellect and culture of the city itself. 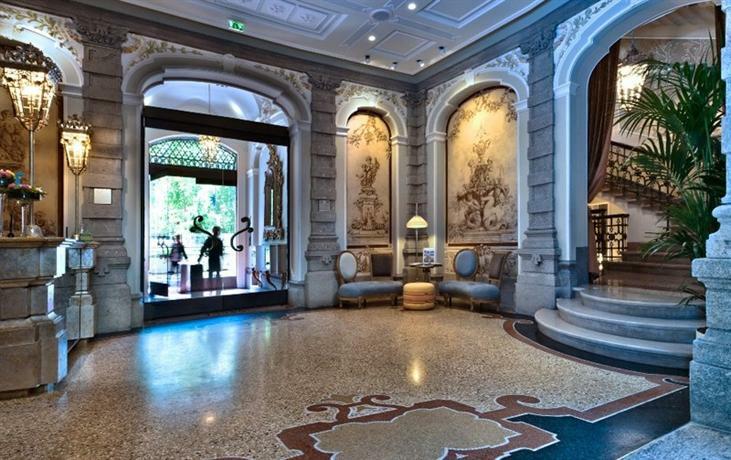 Below we’ve listed out the top 10 luxury five star hotels in Milan. This boutique hotel is set in Brera, which is the Artists’ neighborhood in the city. Within walking distance lies the Pinacoteca di Brera, which houses an impressive collection of Italian paintings. When you approach this stunning luxury hotel, you’ll find a whole levy of Ferraris and Lamborghinis lined outside. This should be enough to get you prepped up for what you’re about to encounter once you enter the stylish halls of this grand hotel. The interiors are replete with plush Italian leather furnitures, black marble floors so polished you can basically use them as a mirror, and windows that stretch all the way from the floor to the ceilings. The restaurant also features mirrored windows past which you can look out into the peaceful and beautiful garden as you dine away. Whereas the dominant color scheme in the hotel public areas are black and white, the rooms feature more neutral tones of bleached Oak, beige, and cream. The hotel also has a sprawling green and foliage-heavy courtyard and garden, and the in-house bar’s famed aperitif attracts the elite from across the city. Their in-house restaurant is run by famed chef Roberto di Pinto, and it specializes mostly in seafood platters. You can also opt for the à la carte breakfast, which features a stunning spread of Italian caviar, eggs, croissant, just to name a few. This luxury hotel is fashionably located in the Montenapoleone district which is right across from La Scala Opera House, which is the cultural center of the city. The Italian designs of the hotel are tastefully and elegantly fused with Oriental aesthetics to make for a truly charming fusion of varying cultural styles. Furthermore, the neighborhood itself is designed in the stylings of a Milanese residence in the earlier 20th century, with pastel shade walls and streets lined with boutique fashion stores and outlets. 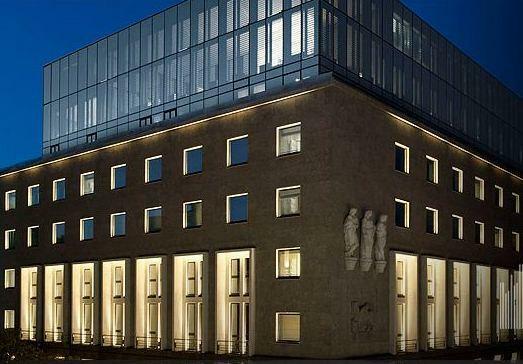 The hotel has been created over a building that used to be a bank in the 18th century, however they’ve come really far in modifying that so as to create one of Milan’s top hotels. The rooms of the hotel are fanned out over five different floors, and the primary colors in the rooms are purple and beige. Depending on which room you’ve chosen, you can either be looking out at lush greens in the courtyard, or you could be looking out at the roofs of the buildings and houses nearby. If you’re in the mood for some snacks, you can head on over to their courtyard, which is shady thanks to all the leaves overhead, and enjoy a few tidbits that are available all day long. Their main restaurant — Seta — offers delicacies that are a lovely fusion of French and Oriental styles. This five star luxury hotel has been constructed off the remnants of a 15th century convent, as such the architecture carries a lot of weight of the past, which is sure to be fascinating for history and architecture buffs. The suites are all positioned around the central courtyard, whereas all the rooms look out onto Via Gesù. The suites are all designed in a personalized manner, each one carrying a distinct personality, replete with frescoes, painted ceilings, and wall embellishments. 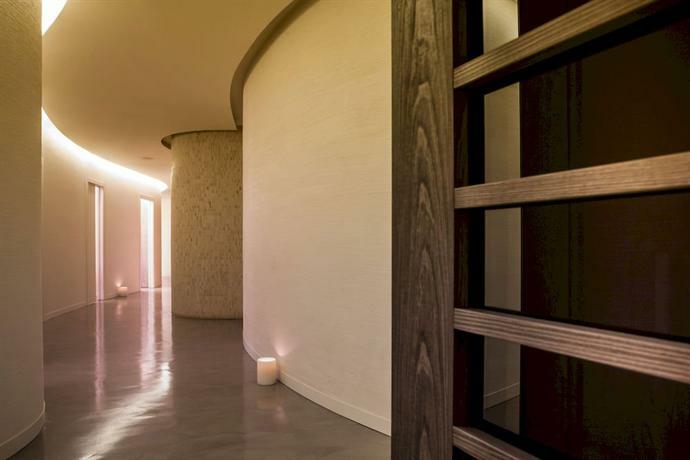 If you’re in need of some relaxation you can also head on over to their spa which is housed within an old wine-cellar. The rooms also feature lively color palettes, mostly in shades of green and ochre. 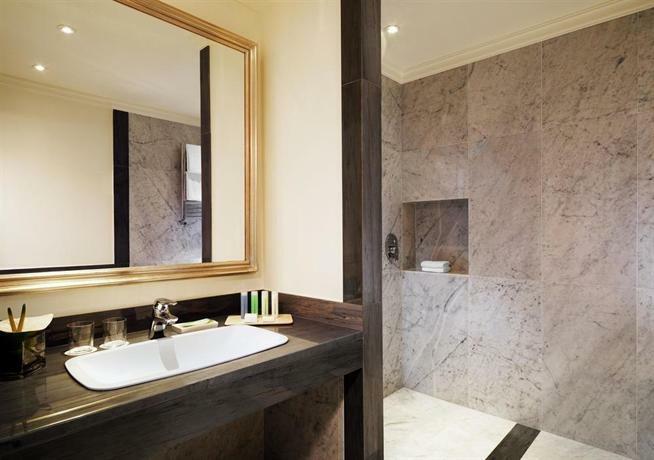 The bathrooms are completely tiled in marble, and they feature mirrors that can’t get foggy with steam. If you're staying at this hotel, then you simply must have a drink at their inner courtyard, wherein you can be served choice cocktails from the foyer bar. The primary restaurant here is La Veranda, a restaurant of Italian cuisine. 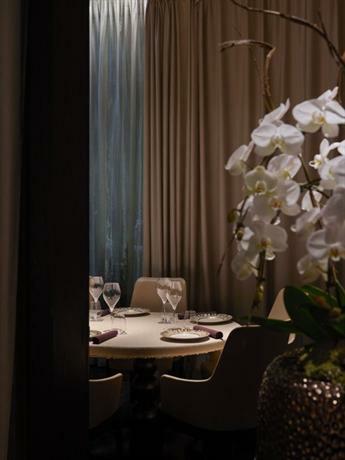 The hotel is located in Quadrilatero district, which is the prime location for all the boutique designers of Milan. 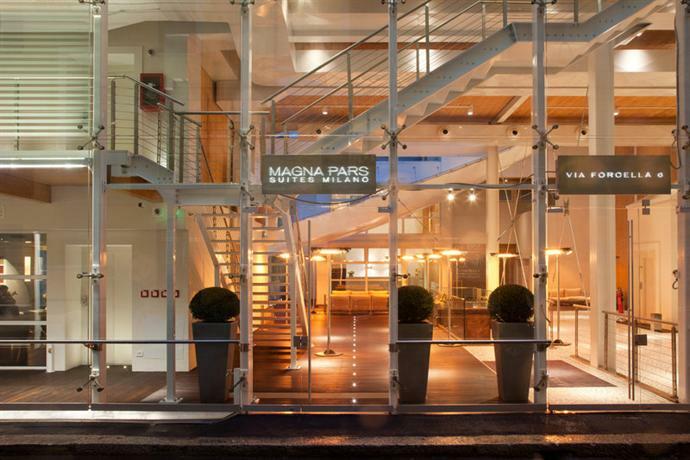 This is a boutique hotel that embodies the fashionable spirit of the city it calls home. It has been made in a very modernist and minimalist style. The building in which the hotel is located was made back in the 1930s, and the rationalist leanings of the time is plainly evident in the design. As you enter the building, you have to take an elevator up to the 7th floor to be met with the reception desk. The rooms primarily feature pastel-yellow, beige, and sandy shades, so as to make the entire hotel feel bright and sunny. In sharp contrast to the decor of the rooms, the hotel bar and lounge feature a backlit onyx wall set off against a marble of clear polished black. The entire hotel has been designed by one of the greatest fashion designers in the world — Giorgio Armani — hence the name. The deluxe rooms of the hotel also come with Armani toiletries, and stone bathrooms. The rooms are completely controlled by their respective iPads. Be it the lighting, temperature, curtains, TV, or anything else. The hotel is based in one of Milan’s most fashionable shopping streets Via Montenapoleone, which is just a walking distance from attractions such as Milan’s La Scala theatre, and art studios such as Piazza del Duomo and the Pinacoteca di Brera. If you have the urge to stay in a luxury hotel with more history, more classical beauty, and perhaps more antique character, then this is the ideal hotel for you. It was first built in 1927, in the neoclassical style that was in vogue at the time. However, unlike most hotels that have changed their decor to keep with the times, this hotel remains proudly rooted in its heritage, with necessary modern technological upgrades in place. The rooms boast fin de siècle furnishings with marble tiled bathrooms, and the suites feature individual and unique hand-painted frescoes. The best suite in the hotel is perhaps the Principe Suite, which is furnished with Italian furniture and Acqua di Parma toiletries. The Presidential Suite also boasts its own indoors private pool. Meanwhile, the Imperial Suites also come with showers that can massage your body. This luxury hotel is located in Piazza della Repubblica, and you can walk on over to Stazione Centrale within five minutes. The hotel is in the neighborhood of Milan’s artistic district Brera, and as such you can also meet a lot of hip and cool people in the trendy bars and restaurants nearby, in addition to participating in artistic events. If you're in the mood to shop around, you can also walk over to Milan’s leading shopping center — Quadrilatero d’Oro. 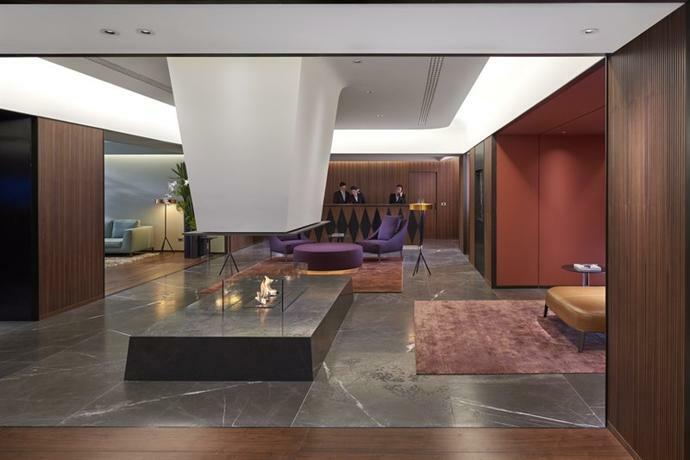 This boutique five star hotel has been designed in a typically sleek modernist style with Milanese furniture, black marble fittings, and high airy ceilings. The interiors also feature a splattering of Art Deco inspired motifs, along with paintings and sculptures made by the local artists. 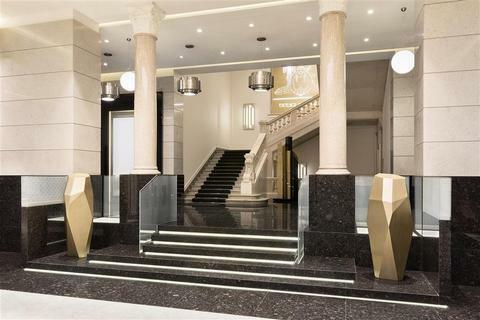 It is also one of the better connected hotels in Milan as it’s located just opposite to Stazione Centrale, the primary railway station which can take you anywhere in Milan. 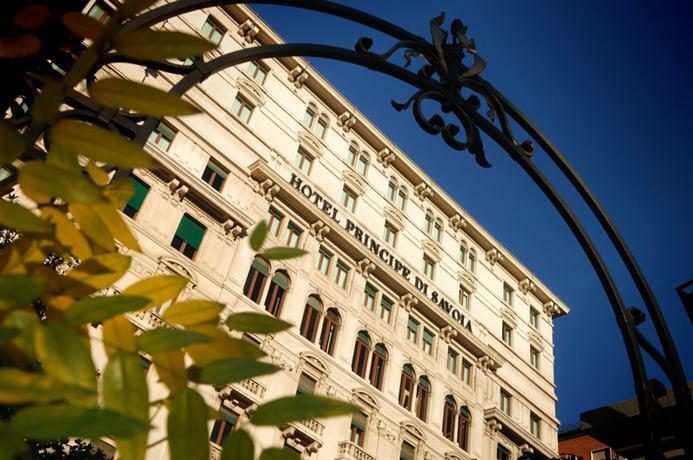 The hotel is also a walking distance from the main business district of Milan, Porta Nuova. This is a luxury five star hotel which has been designed in an elegant fashion with the typical Milanese-style Travertine black marble fittings. However, one of the most charming installations of this boutique hotel is the presence of hand-blown Murano lamps. All the rooms feature comfortable king sized beds with luxurious bathrooms stocked with fragrant bath amenities from fashion house Laura Tonatto. The hotel is also quite well connected, just a short walk away from Via Montenapoleone, the shopping center, and Brera, which is the primary artistic district with charming cobblestone pavements and busy roadside cafes. This is a grand and historically significant luxury hotel which has been run for three whole generations by the same family, the Bertazzoni. It was established in 1863, and ever since it has had the privilege of hosting a number of illustrious guests, celebrities, and dignitaries, such as the music composer Giuseppe Verdi, and the soprano Maria Callas. The interiors have been lavished with antique pieces of sculpture and paintings that have been collected by the Bertazzoni family for generations. The rooms feature a spattering of different architectural styles and designs, such as Art Deco and Neoclassical styles. As such, the hotel also serves as a kind of historical cultural time capsule, capturing and preserving chunks of times gone by. Befitting of its status, the hotel is located in the Montenapoleone area, with the fashion district of d’Oro just across the road, and the other cultural landmarks of La Scala Opera House and the Duomo being just a few minutes away. 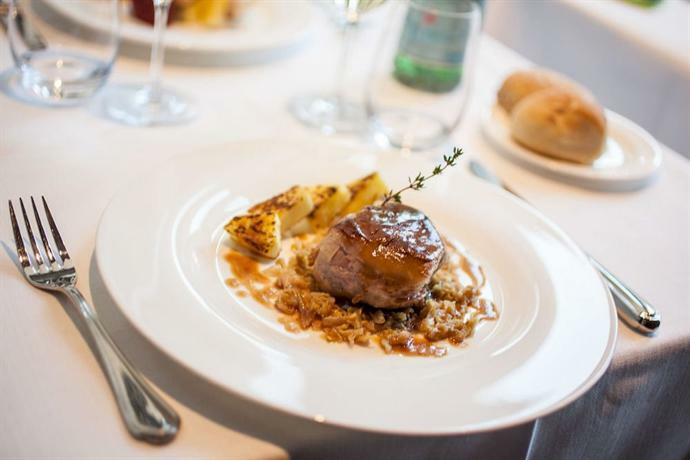 Melia Milano mostly finds inclusion in this list because of its great attention to detail and service so as to ensure a convenient stay for the guests. It offers a full complementary breakfast buffet for its guests, and WiFi connection is available in all of the rooms, as well as the common areas. In addition to this, the hotel has also been made in a sleek contemporary style. 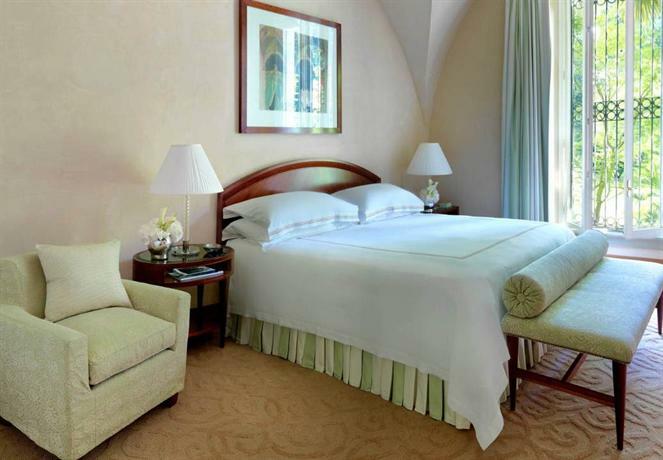 As for the rooms and suites, they’ve been lavished with intricate and dramatic fabrics, furniture, and bedding. 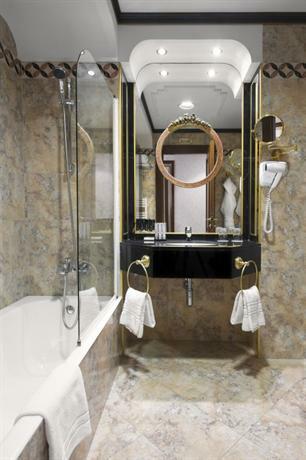 The bathrooms have been primarily made with black granite and marble, and every facet of the hotel basically screams luxury and royalty. This hotel is discreetly located off the side of a rather fashionable street — Via Tortona. A short walk can bring you to the Porta Genova railway station. This also happens to be the historic heart of the city, with canals flanked by trendy restaurants. One of the great things about this hotel is their ecological consciousness, as they blend modern aesthetics with an aesthetic that is also environmentally sustainable. While there is plenty of glass and steel in this structure, there’s also plenty of wood and lush gardens around the courtyards. In addition to this, this hotel also happens to be a haven for bibliophiles and antique lovers because their library features a collection of books published between the 18th and 20th centuries. 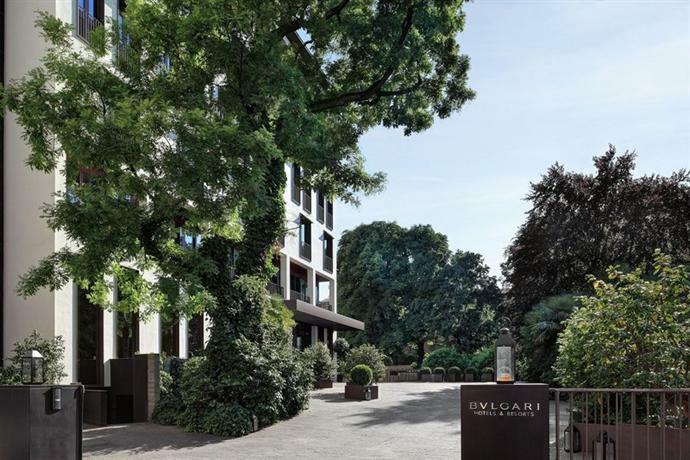 If you want a five star hotel that is equidistant from attractions such as The Duomo and La Scala Opera House, and the prime shopping center of Via della Spiga, then you have to check out the Baglioni Carlton. This hotel has an entrance that goes through several high-end boutique stores and outlets. The hotel was established in 1962, and it maintains some of its earlier influences with the use of antique furniture and intricate brocades adorning the sofas and bedspreads. In addition to the decor and location, the hotel also provides a lot of complementary physical exercise classes such as Pilates, personal training, etc. This trendy hotel is located on the Monforte district, and it looks over at the Piazza Tricolore. This isn’t the most well connected area in Milan, however it’s great if you need a little peace and quiet from the hustle bustle that is always found in prime tourist attraction areas. A fifteen minute walk can bring you to Corso Venezia which features a lot of great shops, and there’s a park nearby that kids really love. If you’re someone who loves a good Fairy Tale, then this is your chance to live inside one, as the hotel is designed in a Neo-classical castle style, inspired by various fairy tales. 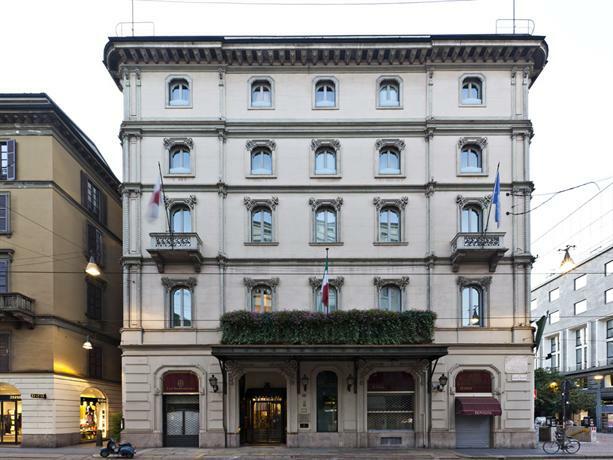 This cool hotel is located in Piazza Fontana, just behind the Duomo. Even though this hotel is extremely central, it has been strategically located so as to be far from the noise of traffic. It’s in a street that only allows passage to pedestrians, and as such you can be assured that you’ll be at the center of life, yet remain comfortably removed from its distractions and noise. The rooms feature a lot of iridescent shades, and they’re replete with a lot of mirrors to make the rooms seem even larger than they are. 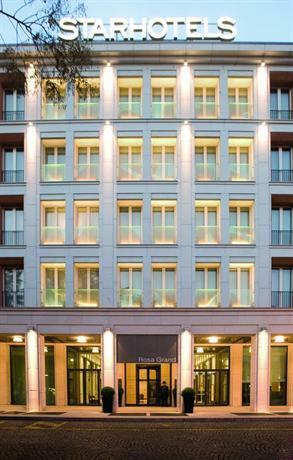 This five star hotel is situated in the business district of Milan — Porta Nuova. This hotel is really quite well connected to railway stations, and thus to the airport as well. If you’re in transit, or if you’re not much interested in exploring, then this is the perfect location for you. If you feel like enjoying a night of fine dining then you can simply walk on over to the Isola district wherein you’ll find plenty of lovely and charming bars, cafes, and restaurants.